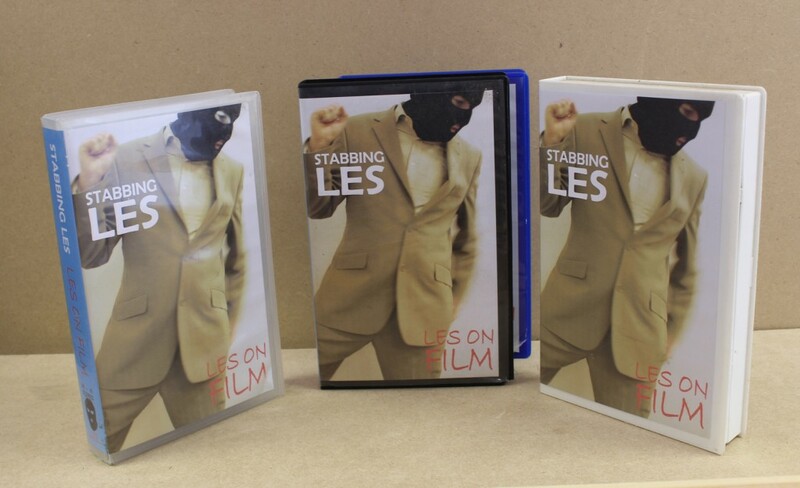 Limited edition, hand-made Stabbing Les merchandise. 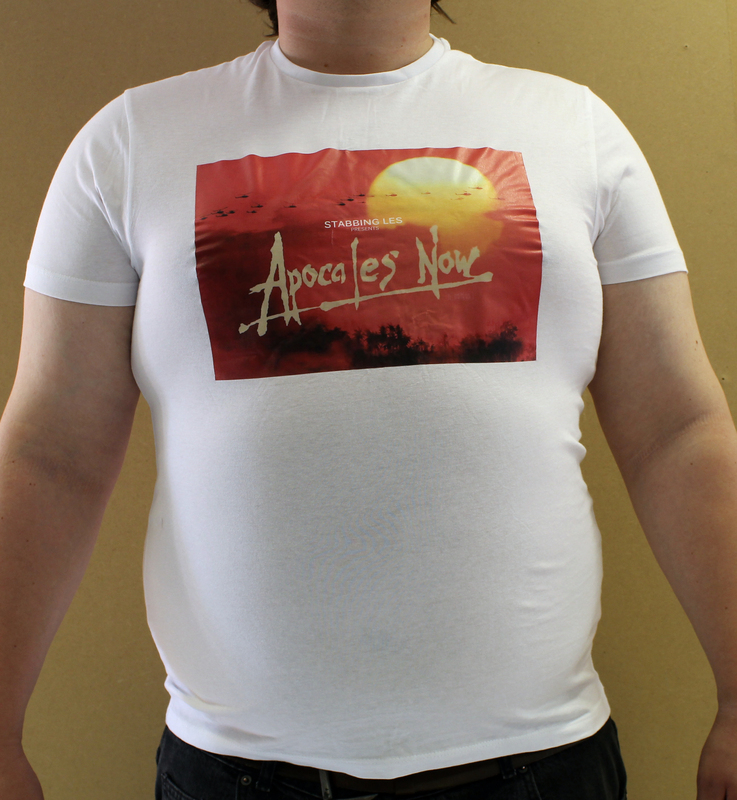 ApocaLes Now T-shirts – £7 including postage. 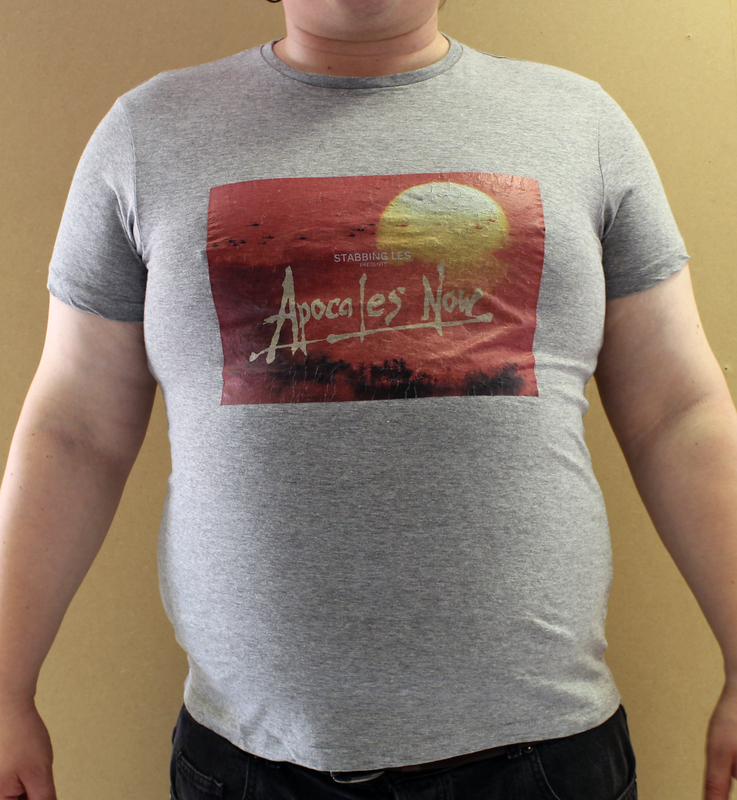 Available in original white or ‘vintage edition’ grey. The Les Book of Revelations: £4 including postage. 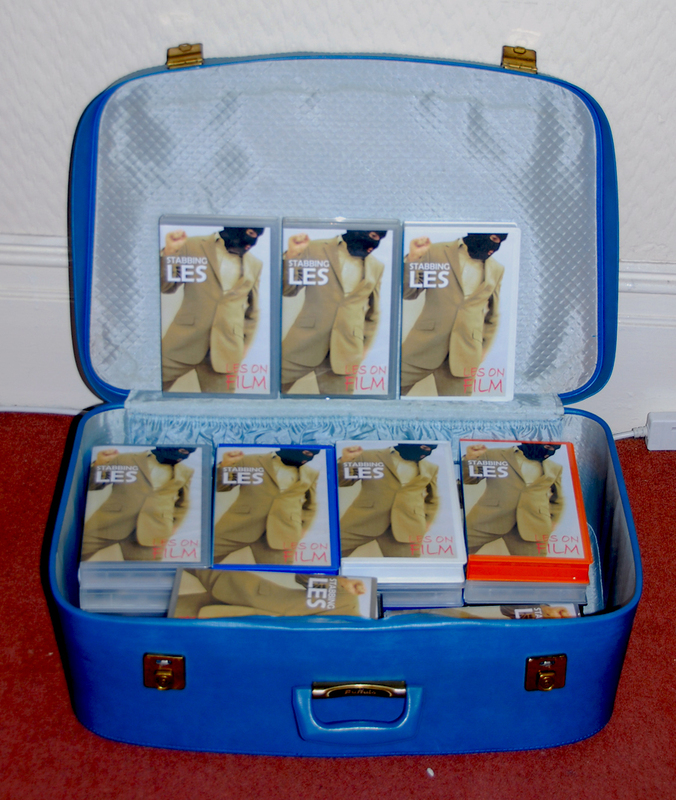 Limited exition of 25. Includes password for online version of the video.